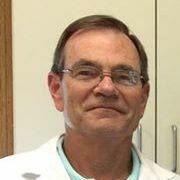 Dr. William T. Carlisle received his Doctorate of Veterinary Medicine from Iowa State University. Born in Northwest Wisconsin and growing up in Iowa, he always felt a yearning to return to Wisconsin. After graduation, he started his career at the Kenosha Animal Hospital where he felt right at home, and where he continues to develop and foster those strong doctor-client-patient relationships that he has become known for. His philosophy of always providing excellence in the medical or surgical care of his patients has resulted in a diverse clientele from far distances away. Known for his unyielding commitment to the patient, he has a reputation of being a workaholic, but gains great satisfaction from making a difference in the lives of his patients and clients. Dr. Carlisle is a member of the American Veterinary Medical Association (AVMA), the Wisconsin Veterinary Medical Association (WVMA), the International Veterinary Academy of Pain Management (IVAPM), the Veterinary Emergency and Critical Care Society (VECCS) and is serving his third term as president of the Southeast Tri-County Veterinary Medical Association (SETCVMA). 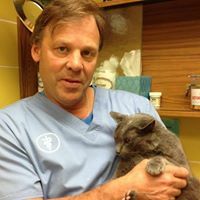 Dr. Carlisle was instrumental in establishing the Animal ER of Kenosha and Racine and currently serves as its medical director. Over the years, he has found himself featured in several national publications regarding surgical cases as well as alternative cancer therapies. He writes a monthly column on veterinary medical topics where he shares his insights on the care of our special family members. He has served on numerous boards including church, school and family businesses, and currently enjoys being a part of the Natural Sciences Board of Carthage College. Dr. Carlisle's special interests include complicated soft tissue and orthopaedic surgery, difficult internal medicine cases and excellence in wellness and preventive care including weight management. He prides himself in always thinking "outside the box" in order to manage unresponsive clinical cases, especially cancer patients using alternative therapies. Dr. Carlisle shares his home with Wrigley, a four and a half year old Dachshund who was rescued at four months of age after he had been hit by a car, Millie, a one year old Dachshund mix and Honey, a Chihuahua mix who he took in as a rescue - Honey was a severe abuse case whose stories are on our website. After requiring several surgeries, Wrigley is finally back to 100%. After owning several Dalmatians over the years,Wrigley was his first small breed dog and very quickly found his way into his heart with Millie following shortly thereafter and Honey was a more recent addition but has taken over Dr. Carlisle's heart and home. In his spare time, Dr. Carlisle enjoys the solitude of wilderness canoe trips, hiking, skiing, biking, sailing, listening to music ranging from classical to Pink Floyd and occasionally escaping to Florida to recharge his batteries and soak up some sunshine. Dr. Dolores Shine received her Doctor of Veterinary Medicine degree from the University of Illinois in 1989 after receiving her Bachelor of Science degree from Marquette University. She practiced small animal medicine in Illinois for 9 years before returning to Wisconsin in 1998. She has been practicing at the Kenosha Animal Hospital since 2002. Dr. Shine is a member of the AVMA (American Veterinary Medical Association) and the WVMA (Wisconsin Veterinary Medical Association). She enjoys all aspects of canine and feline medicine and surgery, and has special interest in dentistry and feline geriatric medicine. Dr. Shine has received additional training with board certified veterinary dentists and is passionate about canine and feline dentistry. She is eager to work closely with her clients providing exceptional care, communication and follow up for the benefit of their pet. Dr. Shine and her husband, Scott, keep busy with the many endeavors of their six children. They are the proud owners of a crazy rescue dog Piper and also have a growing extended family that includes 3 grand-dogs, 5 grand-cats, 5 grand-chickens and 1 grandchild. Dr. Shine and Scott are avid boaters and spend many summer days cruising, floating and swimming on Lake Michigan. Dr. Shine also enjoys cooking, biking, live theater and spending time with friends and family. Robert J. Reynolds, D.V.M.Dr. Reynolds received his Doctorate of Veterinary Medicine and Bachelor of Science degrees from the University of Illinois in Urbana-Champaign. In 1976 he joined the Kenosha Animal Hospital and has remained there for the past 32 years. He is a member of the American Veterinary Medical Association, the Wisconsin Veterinary Medical Association and is past president of the Southeast Tri-County Veterinary Medical Association. For Dr. Reynolds the most interesting aspects of his practice include internal medicine and diagnostics. In addition, he thoroughly enjoys day to day interaction with his clients and associates. Spare time is spent fishing the inland lakes of Southeast Wisconsin and playing tennis. Dr. Reynolds' favorite memories are time spent "Up North" with his wife Fran, son Matt, daughter Megan and, of course, his pets Madeline and Maurey. While Dr. Reynolds has "officially" retired and is no longer a partner in the practice, he still helps out a few days each month seeing patients at the office. 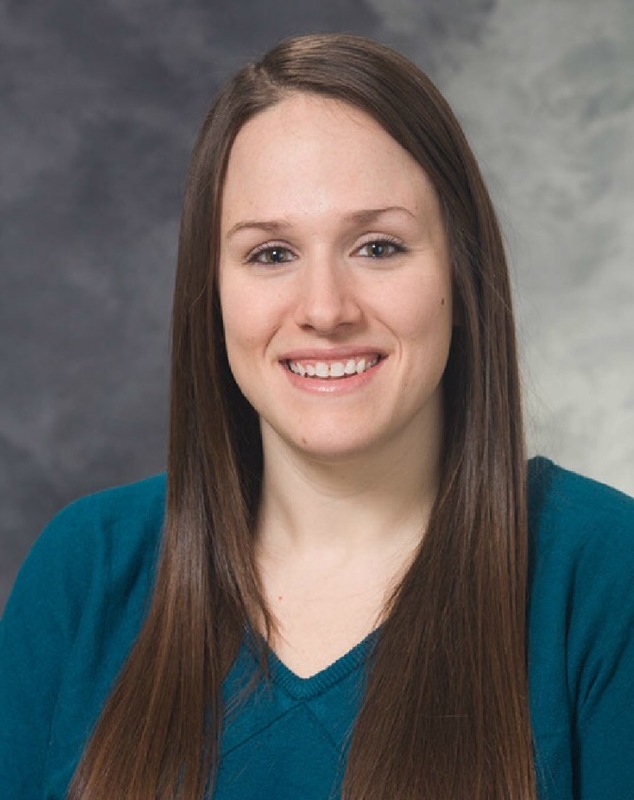 Dr. Stephanie Salituro received her Doctor of Veterinary Medicine degree from the University of Wisconsin-Madison in 2017 after receiving her Bachelor of Business Administration from the University of Wisconsin-Green Bay. She is a member of the AVMA (American Veterinary Medical Association) and the WVMA (Wisconsin Veterinary Medical Association). She is very excited to be joining the team at Kenosha Animal Hospital and is looking forward to working closely with patients, their owners and building lasting relationships. Although she enjoys a variety of general surgery, she is really looking forward to tackling involved surgical dentistry cases and focusing on preventative dental care. As a new graduate of the University of Wisconsin-Madison, Dr. Salituro is also looking forward to applying some of the most up to date information on diagnostic and treatment protocols to a variety of exotic animals that enter the hospital. Dr. Salituro has always had a passion for small animals, especially special species such as birds, reptiles, and small mammals. She is eager to take what she has learned over the past four years in vet school and apply them in the Kenosha Animal Hospital practice. Dr. Salituro and her husband Duane keep busy fixing up a newly purchased home. In her free time, she enjoys kayaking, gardening, grilling out, cheering on the Badgers, and spending time with family and friends. They share their home with a 9-year old chinchilla named Tilly and their Golden Retriever, Lambeau.